From sea to shining sea, United Methodists are finding special ways to observe Memorial Day in the United States. Here is a sampling of ideas. Provide special worship music with a PowerPoint presentation. “My church has a slide show of friends and family, living and dead, who have served in the military,” reported Leslie Haggs, lay leader at Angelica United Methodist Church in New York. Offer a candlelight service. Bishop James Swanson of the Holston Annual (regional) Conference will preach at joint services of three congregations — Mount Wesley and New Victory, Telford, Tenn., and Mayberry, Jonesborough, Tenn. A candlelight service for those interred in the church cemetery will be part of worship. 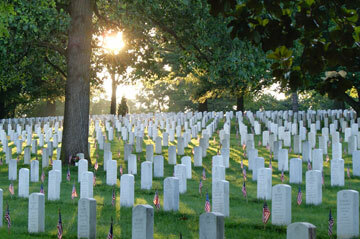 At Arlington (Va.) National Cemetary, flags decorate the tombs of those who died in the service of their country. Photo courtesy of Arlington National Cemetery. Lay a wreath. In Illinois, Malta United Methodist Church will have a special worship service. The congregation invites veterans of the community to pay tribute to fellow soldiers by marching as a unit from the church to the township library, where a wreath will be dedicated. Do a project for active troops. In Maine, the North Searsport United Methodist Church is recruiting the community to join parishioners in a mission project to benefit soldiers going overseas. Participants will sew small pillows for military personnel. The project is in response to recent articles about soldiers having to pay for pillows on their flights. Be part of a community-service day. Manatee United Methodist Church is one of two Bradenton, Fla., locations for the Journey of Remembrance, an annual community-service day honoring U.S. military veterans and their families for their care and sacrifice. 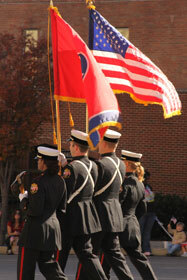 Parades are one way to honor those who sacrifice daily for our freedom. A web-only photo by Dee Dee Cobb. 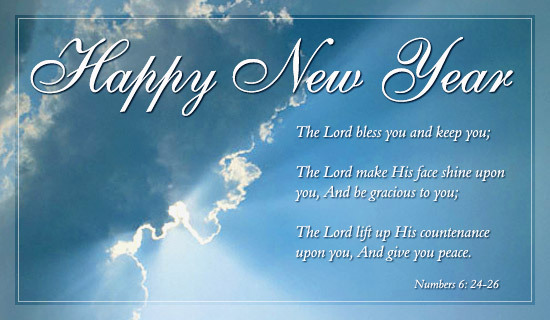 Glorify Jesus as the Prince of Peace and reach out to those whom others may forget. On Memorial Day – as he does throughout the year – John Alexander, a member of East Lake United Methodist Church, Birmingham, Ala., will be involved with Kairos Prison Ministries. A Christian, lay-led, ecumenical, volunteer, international prison ministry, Kairos brings Christ’s love and forgiveness to incarcerated individuals and their families. News media contact: Barbara Dunlap-Berg, Nashville, Tenn., 615-742-5470 ornewsdesk@umcom.org. The observance of Veterans Day, Nov. 11, began almost a century ago. In the 11th hour of the 11th day of the 11th month of 1918, the Allied nations and Germany declared an armistice – a temporary cessation of hostilities – in World War I. Commemorated as Armistice Day the next year, Nov. 11 became a legal federal holiday in the United States in 1938. After World War II and the Korean War, Armistice Day became Veterans Day, a holiday dedicated to U.S. veterans of all wars. Now is the perfect time for congregations to engage in ministry with active troops and the families left behind. Click here for 20 ideas. We have been glad to hear that our new earlier hour of meeting is very popular! This upcoming SNC will give all of us the opportunity to express our appreciation for our members of the military. We not only are inviting all Pender military members to attend this service, but we will also have the privilege of hearing two members of the military share about their experiences in serving our country. In addition, Kay Creel of Pender’s Military Ministry will present some scarves and lap afghans knitted by our Prayer Shawl Ministry, which will be blessed by Pastor Kenny before being sent to deserving members of the military.